Hungryroot is a brand of healthy packaged foods that aims to make clean eating effortless by sending you foods that can be enjoyed on their own, used with what you have in your fridge, or combined to create good-for-you dishes in just 10 minutes. It is delivered to your door and offers great convenience and personalization. This rather unique New York-based service was founded in 2015 and its popularity has been steadily growing ever since. 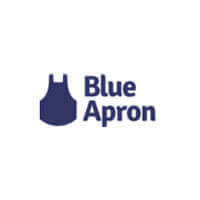 Its product offering is innovative and constantly expanding and although it focuses on plant-based foods, it has delicious options for omnivores and fish lovers as well. Read our in-depth Hungryroot review to find out what it is like to cook with Hungryroot and get valuable info on its variety, meal options, and prices. 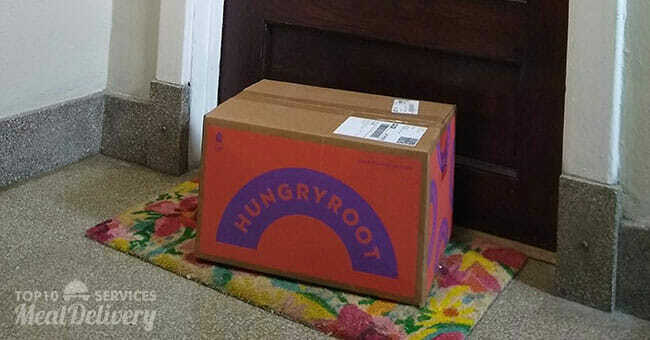 Our Hungryroot delivery is here and it looks great, not a single scratch! 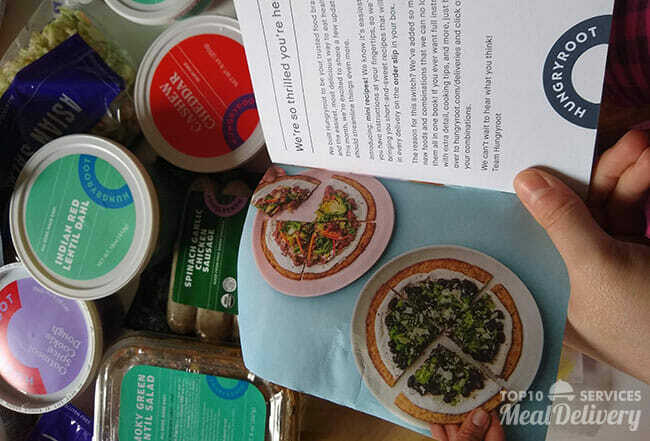 Hungryroot is a subscription-based delivery service whose offer includes ready-to-cook, ready-to-heat, grab n’ go, and combine n’ eat dishes and dish components. Designed for busy individuals, all Hungryroot foods are ready to eat in up to 15 minutes. Just like numerous other services on the market, Hungryroot was launched with the aim of making healthy eating easy. However, its founder Ben McKean has come up with a rather original way to achieve this ambitious goal. Unlike meal kit services, Hungryroot does not provide ingredients that you need to wash, trim or chop. Unlike prepared meal deliveries, it allows you to make the food on your table truly your own by combining the company’s products whichever way you see fit. In other words, Hungryroot aims to conform to your lifestyle instead of making you conform to its plans. Speaking of the company’s plans, they are readily customizable in the sense that you can add or remove items based on your taste and desires. However, there are plenty more ways to personalize your orders or help the Hungryroot team assemble a perfect box for you and thus save you the trouble of editing your weekly menu yourself. You can state your preferences so you never get anything you cannot or do not want to eat. 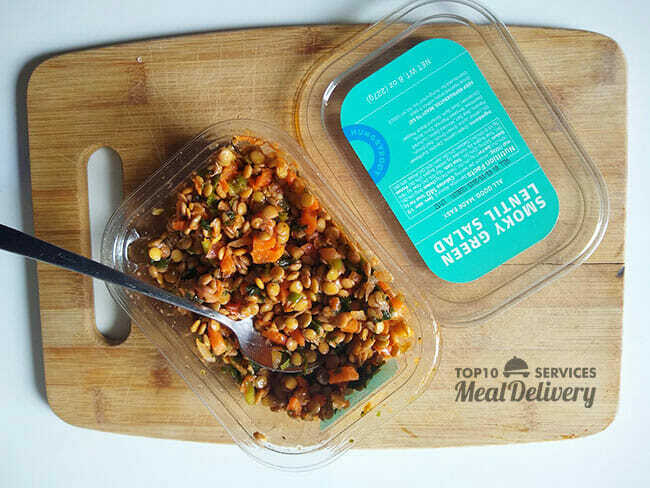 The available options allow you to limit the selection of items in your deliveries to vegan, vegetarian, gluten-free, dairy-free, nut-free or soy-free meals and meal components. Furthermore, you can heart the items you want to get in your future deliveries and rate the ones you have tried already, letting Hungryroot know how much you liked them. That way, you allow the service to get to know you, so it can offer better recommendations in the future. With Hungryroot, you can choose from 3 plan sizes suitable for singles, couples, and families. 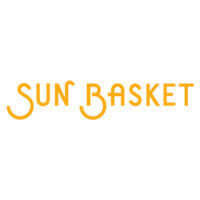 All three plans bring you weekly deliveries of healthy foods. 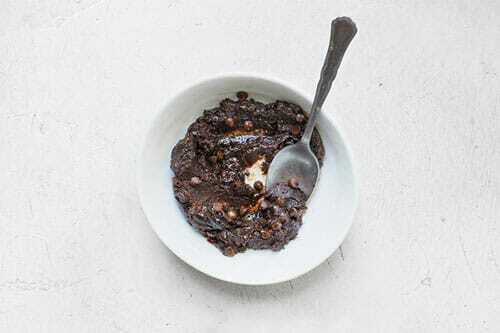 You can get a curated selection of Hungryroot products or customize your order to your taste. The plan sizes available include Small, Medium, and Large. No matter which option you choose, you get to enjoy items from every Hungryroot product category. The plans exclusively differ in the number of items included in the box. The Small Plan is designed with singles in mind, but it can work just as well for couples who need some quick-to-make goodness to supplement their home-cooked meals. With this plan, you get 11 items that include veggies, grains, proteins, sauces, grab n’ go breakfasts, snacks, and sweets. The Medium plan is made for couples, although it can work for families as well. It includes 16 items. Just like the Small plan, it also includes veggies, grains, proteins, sauces, grab n’ go breakfasts, snacks, and sweets to satisfy your cravings throughout the day. Whether you want to cook, heat or grab a plate right away, Hungryroot has got you covered. Its foods can be enjoyed in a variety of forms, at home or at work. Finally, the Large plan is best suited for families. It includes a curated or customized assortment of 21 items. Of course, the weekly deliveries includes veggies, grains, proteins, sauces, grab n’ go breakfasts, snacks, and treats as well. It is good to know that there is no minimum subscription period and you do not have to receive deliveries every week. You can skip any delivery, modify your order or cancel your subscription whenever you wish. It is only important to remember that the cutoff to make these changes is 3 pm EST the Wednesday before your delivery is scheduled. Hungryroot’s approach to the business is unlike most we have encountered so far. It is neither an ordinary meal delivery nor a conventional meal kit service. It does offer ready-to-heat meals, but that is not what it explicitly focuses on. It does provide meal components that you can easily cook and/or combine to make a meal, but it does not sell meal kits per se. You may now be wondering what it is exactly that Hungryroot offers. In essence, Hungryroot is dedicated to providing wholesome foods of all sorts, from freshly cut veg, healthy proteins, grains, and pastas to tasty sauces and dressings. It brings you pieces of a puzzle and you are in charge of putting them together. The best of all is that you can complete the puzzle in a matter of minutes and you get to decide what the end result is. 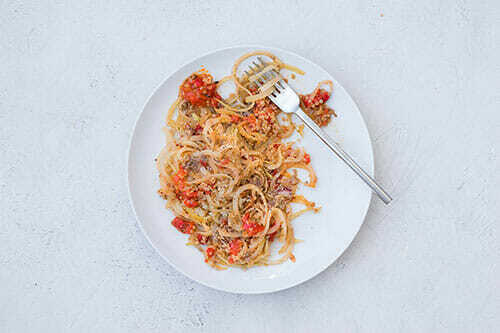 You can get paired or unpaired meal components, you can cook, heat or just combine, and you can get a full meal that you can enjoy straight away if you are not in the mood to get creative. Simply put, your meal can be anything you want it to be. Unique in its concept, Hungryroot provides all-natural and organic foods that perfectly fit a busy schedule and leave plenty of room for customization. It is also important to emphasize that Hungryroot is not only about personalization and saving time. It is about healthy eating as well. Its items are always free from artificial ingredients, they are certified organic and non-GMO whenever possible, and last but not least, they are fresh and nutrient-dense, so they give your body exactly what it needs. If you happen to like what this service is offering and want to give the gift of Hungryroot food to your friends and family, you can purchase an e-gift card and treat someone special to 1, 2, 3 or 4 weeks’ worth of Hungryroot meals. You can choose between the Small, Medium, and Large gift subscriptions, which are not automatically renewed and cost the same as standard subscriptions. Hungryroot is dedicated to providing wholesome foods of all sorts, from freshly cut veg, healthy proteins, grains, and pastas to tasty sauces and dressings. It brings you pieces of a puzzle and you are in charge of putting them together. The best of all is that you can complete the puzzle in a matter of minutes and you get to decide what the end result is. Now we come to the most exciting part of our Hungryroot review. It is time to take a look at the menu. The company’s offer always includes 20+ items, but the possibilities are endless. The selection changes weekly for optimal freshness and variety and the items are divided into 8 categories, including Fresh-Cut Vegetables, Grains And Pastas, Sauces And Dressings, Proteins, Grab-And-Go, Sweets, Jazzy Extras, and Combinations. In the Fresh-Cut Vegetables section, you can find items that can serve as veggie sides or healthy salads. You can get butternut squash, kohlrabi or zucchini noodles, broccoli or cauliflower rice, pea snaps, a nice salad mix or any of about a dozen healthy meal components that can bring color and nutrients onto your plate. Everything is prepped and ready to be combined with other tasty elements. We have got something from every Hungryroot product category and we only have 2 dilemmas – what to eat first and can we wait for the cookie dough to come out of the oven or should we just grab some spoons and dig in? 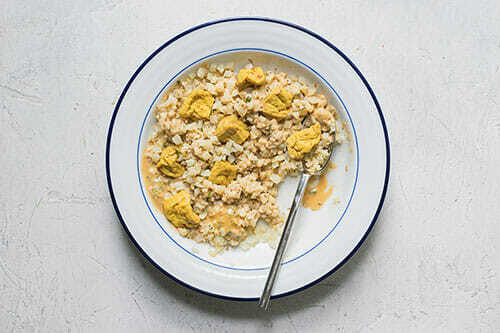 The Grains And Pastas category includes half a dozen items focusing on whole grains. 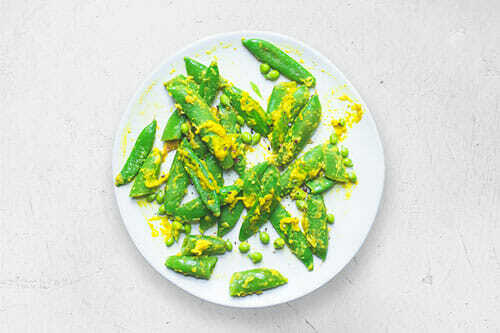 You can get single-grain items, grain blends or healthy pastas with unusual ingredients like turmeric or red lentil for an extra splash of color and flavor. Sauces and dressings are there to elevate the dish with their smooth texture and exciting taste. They are not too numerous, with about 10 items available, give or take a bit. However, they are always creative and delicious, so you can look forward to kale pesto, cashew and cheddar mixes, avocado crema, and more. The Proteins section features just short of a dozen items, including plant-based proteins, meat, and fish. Whether you are interested in legumes, tofu, smoked roasted salmon or meat-and-veg sausage, you can find it all on the Hungryroot menu. Grab-And-Go items come in various shapes and forms, but what they all have in common is that you can enjoy them immediately. You can opt for healthy salads, innovative chilis, comforting curry, overnight oats, muesli, and granola, and other wholesome delights that you can enjoy at the office or anywhere you go. If you are in the mood for a guilt-free treat, you can grab something from the Sweets section, which includes half a dozen healthy delights like oatmeal spice and almond chickpea cookie dough, black bean brownie batter, and peanut butter coconut cookies. Jazzy Extras are just that – fun additions that provide that extra crunch, boost the flavor of your meals or simply make the dish more exciting. They come in the form of crunchy nuts and beans, hot sauces, smooth butters, fragrant herbs, and other tasty toppings and garnishes. Enjoying Hungryroot’s smoky green lentil salad straight out of the box. Hands-down, one of the best lentil salads on the market, seasoned to perfection. Finally, we come to Combinations or in plain words, mixes of several components that make up a full meal. If you are not feeling inspired, you can simply grab a combination and make a meal in accordance with Hungryroot chefs’ suggestions. Combinations generally yield 2 servings. As suggested previously in this Hungryroot review, the menu is designed for omnivores, pescatarians, vegetarians, vegans, and people on the gluten-free, dairy-free, nut-free, and soy-free diets. The items are generally low in calories, so no matter how you combine them, the end result is unlikely to contain more than 500 calories. Since you can purchase meal components individually, you get to dictate portion size yourself, adding more components or reducing the number of elements according to your appetite. Since the company only sources the freshest natural ingredients, organic whenever possible, great flavor and texture are guaranteed. What is also great is that the meals can last for at least 5 days in the fridge, so you do not have to worry about the food going bad before you get a chance to enjoy it. As far as the preparation is concerned, many items are ready to eat and can be enjoyed straight from the box. Ready-to-cook meals normally come with recipes including just 2 or 3 steps and require you to either cook the food on your stovetop for 10 minutes or bake for 20 minutes and combine the elements of the meal into a perfect dish. There is no chopping or slicing or prep of any kind. The meals are microwaveable, but the company recommends cooking them on a stovetop. With Hungryroot, the price of your weekly delivery is exclusively determined by the meal plan you choose. The Small plan (11 items) costs $69 per week, the Medium plan (16 items) costs $99 per week while the Large plan (21 items) costs $129 per week. Thus, you pay $6.14 to $6.27 per product, which is rather fair. With Hungryroot’s straightforward pricing, you can have fun picking and choosing. The boxes always cost the same, no matter which healthy treats you order. It is important to emphasize that all orders come with free ground shipping. If you opt for air shipping, a $10 shipping fee applies to every delivery. Hungryroot products are available in all 48 continental US states and Washington DC. Alaska and Hawaii are currently outside the company’s delivery map. Packages are delivered on weekdays and you can choose the delivery day that suits your schedule. However, the available delivery days depend on your location. Your order should arrive between 8 am and 9 pm on the day you selected. You do not have to be at home to receive the delivery, as long as there is a safe place where the driver can leave your box. The food is shipped in insulated boxes with ice packs designed to keep the food fresh for 48 hours. If there is something wrong with your shipment (e.g. damaged or spoiled goods or missing items), you can get in touch with the support staff and request credit for the items you are not satisfied with. To make sure Hungryroot meets all your standards and expectations, it is important to know its biggest advantages and disadvantages. With a short overview of its pros and cons, you can easily decide if Hungryroot is the right meal delivery service for you. Hungryroot features an impressive collection of snacks in its offer. 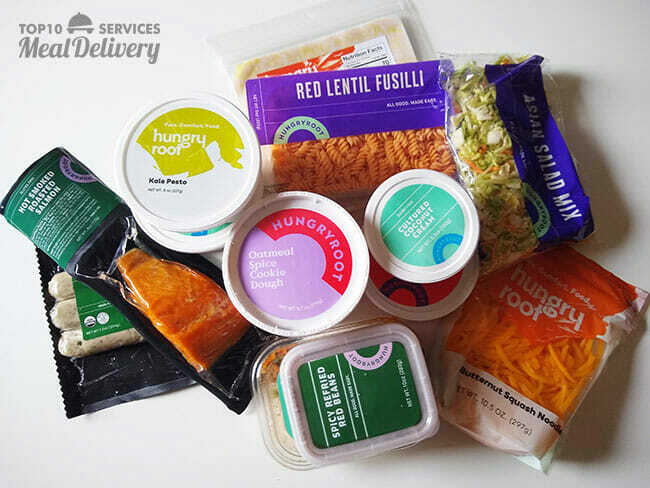 To get a better idea of what you will receive in your delivery, check out our curated selection of the items you can enjoy with Hungryroot. The menu is designed for omnivores, pescatarians, vegetarians, vegans, and people on the gluten-free, dairy-free, nut-free, and soy-free diets. The items are generally low in calories, so no matter how you combine them, the end result is unlikely to contain more than 500 calories. Hungryroot is certainly one of the most interesting services we have encountered so far. 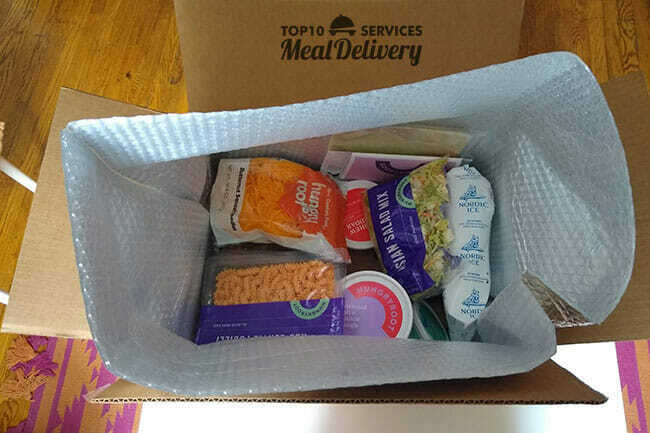 We are quite honestly impressed by the basic concept that is somewhere in between meal kit and prepared meal delivery and provides significantly more room for personalization. The menu is rich, the ingredients are of superior quality, and there are so many options for special diets. The prices are more than ok and shipping is free, which is not that common nowadays. Even though we applaud Hungryroot for making its meal plans so easily customizable, we would just like to see a bit more flexibility in terms of ordering options. A la carte menus are always welcome since not all potential customers may be interested in a subscription. Still, we are more than satisfied with this company’s offer and believe that it is a great solution for everyone from busy vegans to omnivores interested in improving their diet with less hassle. Our ratings are the result of an objective and independent evaluation of Hungryroot, generating the final rating that reflects the overall quality of the company. Ratings may change as the service changes. Hungryroot customer rating based on 4 customer reviews. I have been eating Hungryroot for about two months now. I love it! I look forward to seeing what will be in my next box and occasionally will change something on the order to another option. It's a good value and very healthy. I got the "good life" package for just me and eat the leftovers from the day before for breakfast or lunch the next day. It is enough food for a full week, two meals a day, for one person. Everything great except for the portions, could be larger. I can eat the whole meal myself and it’s supposed to be 2 servings. Got my first box yesterday, loved the packaging and everything looked and smelled really nice. I was just surprised that there are such great differences in taste and quality among meals, some were awesome and some just meh. But I guess it takes a couple of orders to figure out what you like. We found 0 verified Hungryroot discounts for April, 2019.